We drove over from Christmas in Missouri on Sunday, the 27th, to have a few days of fun in Nashville, Tennessee, before Tab officiated the Music City Bowl on Thursday, December 30th. The second we arrived in town we dropped off our bags and hit up Broadway. We stayed at the Renaissance Hotel which was only about two blocks from the main strip area. We walked around seeing the sights and grabbed dinner at a brewery. By the time we were ready to grab dinner, it was already 7:30. We tried to go to Acme Feed and Seed (someone recommended it), but the music was crazy loud by that time. And we all were in lounge-y clothes, so we hit up this brewery instead. I heard GREAT things about Acme while I was in Nashville. Sad we missed it! Decisions, decisions at the candy store! Watch out, Nashville!! We're here!! We started off with breakfast at Another Broken Egg Cafe. It's one of our favorite places when we go out for breakfast in Destin. Then it was TOUR TIME!! I was SO excited about this part of the trip! We used, Tommy's Tours, and it was great! I have only one recommendation....they should make it a little shorter. The tour was three hours, which was too long for any age! The kids actually did GREAT! They toured, they slept, and they played their ipads. ha! This is us in Union Station checking out the ceiling! Everything was gorgeous all decorated for Christmas! This is Martina McBride's house...I must say I googled this picture. ha! It was raining and my pictures were a hot mess! The Bluebird Cafe (that you see on the show, Nashville) and where Garth Brooks caught his big break! 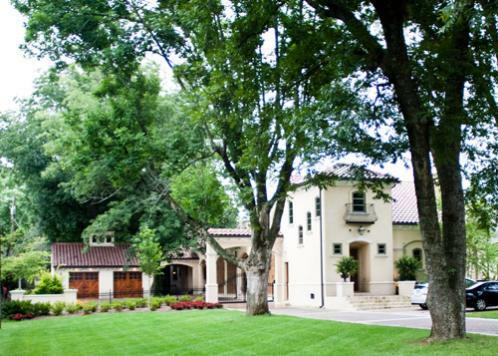 The home above Taylor Swift bought for her mom. See Taylor's white Jeep? 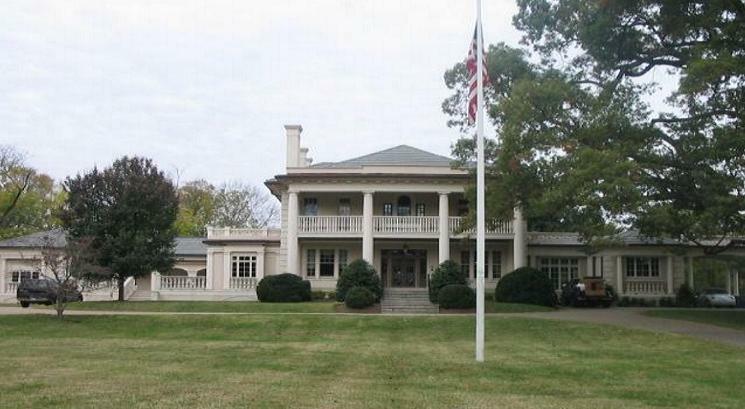 The home above was where Tim McGraw and Faith Hill lived for several years (but not anymore). We saw several others, but I won't bore you with tons of pictures. If you're in Nashville, I'd highly recommend the tour! Dinner downtown at Merchant's....another recommendation. We ate downstairs because the wait was WAY less when we walked up. And the burger was delish! We really got into the Nashville spirit. Don't you think?? And apparently we made ourselves right at home in the middle of the boot aisle. We hit up Opryland Hotel for the Coaches' Luncheon. The Music City Bowl this year was Texas A and M against Louisville. Before the luncheon began, we spotted the Aggie yell leaders. Trust me, Nixon had his eye out for the Louisville cheerleaders, but we never got close enough for a picture. ha! Our table was right beside where the Louisville players marched in. Our table...the Eck family is near and dear to our hearts. Tab has been on a crew with Mr. Alan for a couple years and he loves him dearly. We had a great time getting to hang with Michelle and their children on this trip! The dessert was good but crazy messy! It didn't slow Bowen down though...haha! He was a MESS! An afternoon spent in the pool. I've come to realize indoor pools just aren't my jam. Any other moms?? Give me a pool in the summer ANY DAY, but for some reason-an indoor pool in December? I just can't. We saw "That Statue Guy" before making our way to dinner. Puckett's was on the dinner menu and it did not disappoint! We had a table for twenty-one people and then this little two-seater off to the side. It made the perfect place for these two. We spent our nights in the hotel playing with new Christmas toys. Tab was busy all day with meetings and then the big game. The kids and I hit up the mall to watch the new Alvinn and the Chipmunks movie. Bowen missed the movie by taking a killer nap! He woke up for the ending credits. ha! We had to grab some cold weather gear at the mall before heading back to the hotel to hop on the shuttle for the game. These three did AMAZINGLY well during the game. The first quarter was long, but they hung in there. During the second quarter, we went inside to thaw out and grab a bite to eat. We had club-level seats to the concourse area was indoors. Check out the guy running down the middle of the field??! That's our guy! This girl was totally into the game! She was cheering and screaming! Afterward, we waited for the stadium to clear out before we got a picture with this hunk. So glad we got to watch this guy do his thing. So proud of him!! Nixon looks proud. Doesn't he?? We got back to our hotel at 12:30 and CRASHED!! Nashville girls...we LOVED your town!! When we visit other cities very rarely, do we say we could move here, but we said it about Nashville! We all loved Nashville!! Thanks again for your help making our trip so much fun! Oh gosh, Nashville is the best! We've said the very same thing!! What a fun time!! love all of those pictures of the celebrity homes!! So fun!!!! Listen, indoor pools aren't my jam EITHER! They smell like chlorine, it's humid in there...it's just not right! And I could have looked at hundreds of celebrity house pictures. Why does that interest me so much??? So glad this post is up! You guys made Nashville look like so much fun! Loved every bit of it! I agree with Shay! I could look at celebrity house pictures all day! You should just do an entire post about them! First, Nashville looks amazing! You guys were able to get a lot done while you were there. And I need to visit and go on that three hour tour! Also, I'm jealous you had club level seats! Us coaches wives are out (usually in the cold) with the fans! Our seats are never fantastic! And DJ was impressed that Tab was officiating that bowl!! Glad y'all were able to go! Bowl experiences are always so much fun! What a fun post! Indoor pools kind of gross me out too....plus, WHO IN THE WORLD wants to get in a swimsuit in December?!? Not this girl! I'm right there with you, I despise indoor pools! The mere thought of them makes my skin crawl. Ick. Looks like a fun trip!! I completely understand the whole indoor pool not being your thing. When you live in Wisconsin you really have no choice if you want to go swimming in the winter, or really 9 out of 12 months of the year. I would much rather do indoor water parks however. Too much fun to think about the chlorine smell and humidity. Well sort of :) Your trip looked like so much fun!! We're going to Nashville over spring break and I can't wait! The celebrity home tour looks like so much fun! Ahhh thanks so much for all of the suggestions. We are totally hitting up that tour when we go! Did you guys have a favorite restaurant? And yes, indoor pools are just awful, awful! Looks like a blast! We're headed there at the end of the summer. Um, and YES, indoor pools creep me out, even rainy summer days...I need FULL SUN to swim! Nashville is like a second home to me... lovelovelove it!! I hear you about the indoor pools... so gross! So much chlorine and so humid in those areas... but for some reason, no matter how much 'fun' stuff I plan, it seems like the kids have the most fun in those dang pools!! Glad you guys enjoyed Nashville! What an awesome trip!! I love all the famous people's homes that you got to see! Looks like fun!!! I wanna go!! And you are such a trooper! The thought of going to a game alone with my 2 does not sound fun. Ha!! You made it look easy! I'm only an hour and a half from Nashville, but you have seen so much more than me! I'd love to take one of those tours; I'm all about seeing some celeb homes. And how did I not know that the Bluebird Cafe was a tiny little thing in a strip? I have eaten at Pucketts. It was amazing!! Did you try the fried pickles? Yumm! Merchants is on my list to try. For sure! I have been dying to hear about your trip since you posted pictures on Instagram. I want to go to Nashville so so bad. I want to go to all the hole in the wall places and listen to music - like the Bluebird. But that doesn't really work with kiddos! I am glad to hear you guys loved your trip with your kiddos. Maybe we can take a family trip with a sitter? ha. I know Jack would love all the music. Indoor pools = no thank you. I'm totally with you on that. So glad you had fun in Nashville! I've never been to Merchants (and I live in Nashville) so now I have to go. LOVE it! Glad you had a great time - and you hit some of the best Nashville has to offer!! 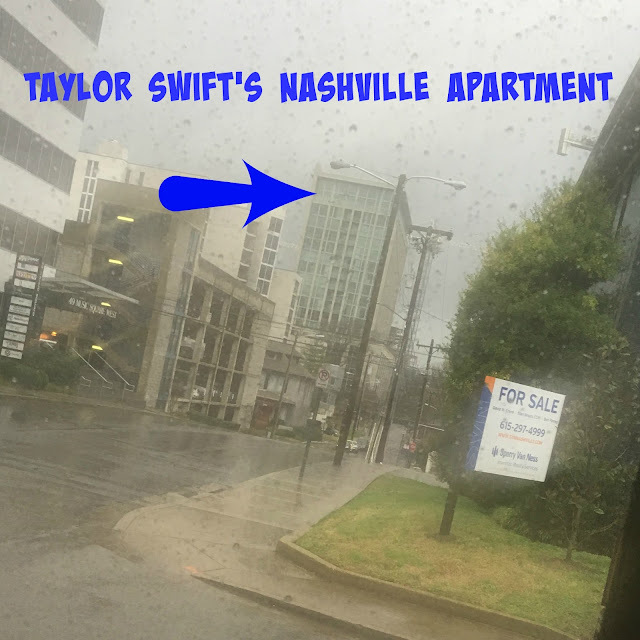 Celebrity home tours are really fun, even as a Nashvillian, because you see places you regularly drive past and never knew! I am with you on the indoor pools too -- thank goodness my kids can swim alone!! I loved this post! Nashville is at the top of my list for an anniversary trip this year! You should definitely do a whole post on the home tour! I adore country music and that is so fascinating. So cool! We love Nashville! My aunt and uncle live there because my uncle is a music producer. He plays at the Bluebird Café all the time. Pretty cool! Looks like y'all had a great time! Thanks for sharing! We went to Nashville just after the game, for New Year's Eve! WOWZER! Fun, but crazy packed! We did make it to Acme for breakfast on the 2nd. Everything taste so good in Nashville! This looks like such a fun trip! I've only been to Nashville once, but LOVED it. My hubby and I say the same thing, it's the only other place we could move to! I could of def looked at 100 more celebrity houses, just saying :) So fun!